The best part is the complement of bells and whistles it comes with. 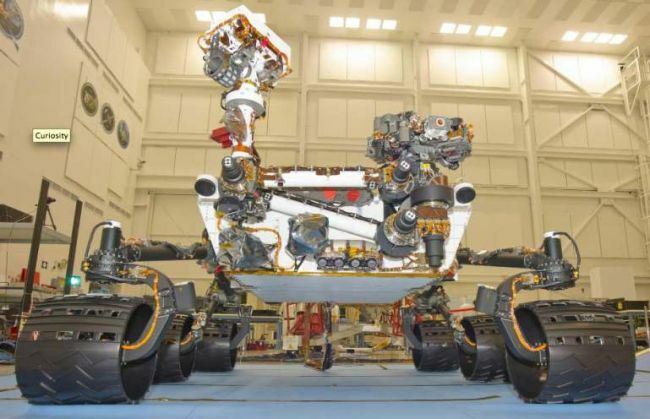 The vehicle known as the Curiosity Rover or Mars Science Laboratory is scheduled for a trip to Mars very soon via an Atlas Rocket. Once it reaches the red planet (a time that might coincide with the premier of Disney’s John Carter) the rover goes on an extended road trip. It comes well equipped for such a journey, packing no less than ten different gadgets across its three meter long frame. The Curiosity rover is expected to land on Mars via a combination of an entry module and parachutes. Once it’s on the ground intact it will begin tooling around in extreme conditions. Curiosity is expected to spend a whole Martian year of 99 Earth weeks looking for dead civilizations gathering data on suspected water deposits aroudn the Gale crater, where it’s going to land. Another peculiar feature of Curiosity is bearing a special payload of more than a million human names etched on silicon chips. This is also known as the freaky what-if-it-runs-into-aliens part. After its launch on November 25, expect the next big scoop on the Curiosity Rover to come August next year, which is its scheduled DOA; that’s date of arrival.